WebReserv offers various types of useful reports. The In/Out report is an excellent report that will help you manage your rental inventory. The In/Out report is similar to a Reservations Report except it will define what rentals are going Out for the day, and what rentals are due to come back In for the day. This is very helpful during busy times when you need to keep track of bookings and your inventory while still providing the best customer service. In order to activate the report to work for rentals, follow the steps below. In your WebReserv account, go to Setup – Business Information – Advanced Options. 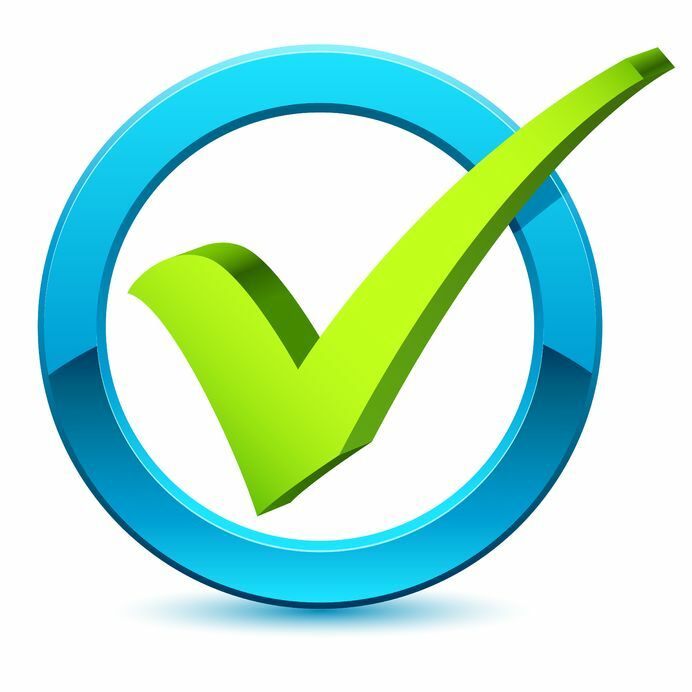 In the General section, set the Check In/Out option to “Check-out before Check-in“. Save your changes. 2. To run the report, go to Frontdesk – Reports – select In/Out Report. Select your product or ALL. Select if you want the report to show only Out and In dates (default), or if you want to see all bookings in between those dates. Choose the Change fields button to customize what columns you want to see on the report. Select what format you want to view the report in – HTML will open in a new browser or CSV will download the report into a spreadsheet (Excel). Based on your report settings, the report will show first all rentals that will be going OUT for the date range, and then it will show all rentals that will be coming IN for that date range. This will be noted in the Status column. If you want to know more about all the features that WebReserv offers, visit us at www.webreserv.com, or send us an email to support@webreserv.com. This entry was posted in Best practice, Grow your business, New Features, Reporting, Small businesses. You asked, we answered! New Enhancements to WebReserv. That’s right, we’re listening! We recently made a few enhancements to the booking system, and we’re excited to let you know about them. See what we’ve done below. Added a Search by Reservation Date to the Reservations report. The Reservations report is our most comprehensive report that gives you all the details about bookings within a time frame that you specify. You now have 2 options for that time frame: Date of Reservation or Start/End Date. Date of Reservation refers to the date that the booking was actually made by the customer. Start/End date refers to the actual visit date of the booking. This is a helpful enhancement as it will allow you to see how many bookings you had on a given day or set of days. To access the report, navigate to Frontdesk – Reports in your account. Select the Reservations report. Additional Customization options on the Home page. To customize your Home page, click on “customize this page” from the Home page. On the Customize Page screen, drag and drop the desired columns from the Available Columns box to the Selected Columns box. Save your changes. Here’s a look at the view with all the new options added. This is helpful for many businesses who want to be able to see the customer’s phone number at a glance to reach out to them, or see exactly what rental or camp site is booked for the day. We always strive to make improvements and enhancements to our booking system. If you have any suggestions, please send us an email to support@webreserv.com. We’d love to hear from you! This entry was posted in Bed and Breakfasts, Best practice, Development, General, New Features, Small businesses, Uncategorized. We recently added a new report to our list of available reports in WebReserv: Manifest Report. This report is great for businesses that need a daily look at who is booked for a given day(s). It helpful when assigning guides to your tours, or ensuring you have enough staff on hand for your rentals. To access this report, go to Frontdesk – Reports – Manifest Report. Select which tour/rental (Products) you want to view. Pick a time slot (Schedule), if applicable. Select Change Fields to customize columns in the report. Click View to run the report. See below shown in the HTML format. This is a great addition to the already robust report options in WebReserv. This entry was posted in Best practice, New Features, Reporting, Small businesses, Tour Bookings. Welcome to 2018! We’re excited for the new year, and happy to announce that we’ve added a new option to our list of compatible payment processors: Stripe. To get an account with Stripe, visit their website to create an account. If you have an existing Stripe account, you can add the integration to your WebReserv account easily. To do so, log into your WebReserv account, and go to the Setup – Business Information. Select Payments from the left column. First, you’ll want to enable the credit card option in the Payment Processing section. Select Creditcard, and Auto Process. Next, in the Payment Gateway section, select Stripe from the drop down menu. Here you will enter your Secret Key from your Stripe account. (Note: you can access your Secret Key through the Dashboard of your Stripe account.) After you add the secret key, save your changes by clicking Save and continue at the bottom of the page. That’s it! You’ve successfully setup the integration with Stripe. After setup is complete, you’ll want to make a test transaction to ensure it is working properly. The system allows you to enter a test transaction through the Payment Center. To access, go to Frontdesk – Payment Center. Select the ePay Virtual Terminal option. Here you can enter a small transaction using a credit card to ensure that you get an authorization. To do so, select Payment (type), Credit Card (payment type), and enter a small amount – $0.10 will work fine. Enter the credit card details. Choose the Process Payment button at the bottom of the page. If you get an authorization, then the setup is working correctly. You can now begin taking payments for your bookings. For more information on WebReserv, visit our website, or contact us here. This entry was posted in Bed and Breakfasts, Best practice, Booking Calendar, New Features, Payment Systems, Tour Bookings, Uncategorized and tagged internet, technology, Tips, website. Gearing up for the new year. Tips to prepare your system for 2018. 2018 is upon us. As the year comes to a close, now is a great time to make sure your booking system is updated, and ready to manage reservations for the next year. You certainly want to avoid any issues that may arise, so we outlined a small checklist with a few key things you need to review to make sure you have a green light for the upcoming year. This entry was posted in Best practice, Booking Calendar and tagged tour booking system, update booking system, update rates, update schedules, update webreserv. We recently released an enhancement to the calendar synchronization feature in WebReserv. You can now customize your iCal URL by rental, tour, or room. This upgrade will allow you to sync bookings, per product to your chosen calendar site such as Airbnb, VRBO, or Google. This will make it easier to manage bookings on the various sites you use. To access the new links in your WebReserv account, go to the Setup →Business Information → Advanced Options. You’ll see the iCal section under External Calendar Synchronization (iCal, Airbnb, Google, Apple and others). Here you can select which URL you want to add to your external calendar ⇒ choose All or just for a certain product. Copy the URL and paste into your other calendars. Note: Each external calendar integration will have its own steps to add the URL. See the Help for that calendar for complete instructions. In addition, you can further customize the data that is shown on the calendar using keywords from the booking. Enter your choice of text and keywords in the Title and Body section of the setup, and this information will populate your calendar when a new booking is made in WebReserv. Once you add the URL to the chosen calendar, then when you receive a booking in WebReserv, it will be shown on the calendar on the day of the booking. Viola! Want to know more about how to manage your bookings with WebReserv? Visit us at WebReserv.com and sign up for an account today! This entry was posted in Booking Calendar Integration, Calendar Synchronization, General, iCal, New Features, Plugins. 7Ps Series – Part 3: Is your price policy for you own good? 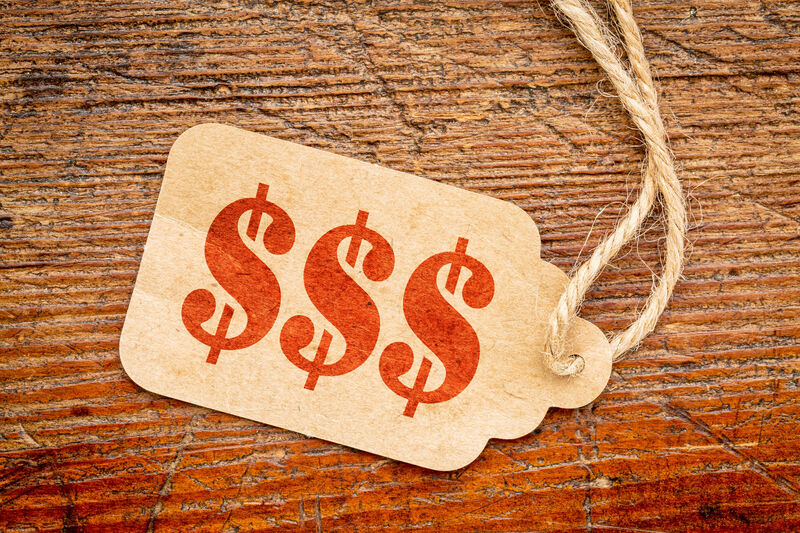 A quick read on how your pricing policy might make more harm than good to your business. Some weeks ago we published a write up on Product, one of the 7P’s in your value proposition. We hopefully inspired you to have a closer look at whether you are really selling what you think you are selling and whether you are differentiated enough? Did you have a chance to do it? Did it make you consider applying some changes? At least we hope we stirred up things a bit. Nothing new comes out of repeating the same thing over and over again. In this article in this series will we continue were we left and look a bit more thorough at the P Price. As always our small disclaimer. We are only here to inspire you to optimize and grow your business and we can’t give you a guarantee. But take advantage of our lessons learned the hard way. As with the other P’s Price is an endless topic and 100’s of books have been written about pricing, pricing policies and best practices. Here is one also being an easy read. “The psychology of price: How to use price to increase demand, profit and customer satisfaction” by Leigh Caldwell. You can find it on Amazon. In the scope of this article we will highlight some of those practices that might help you. As with your products and services also your price policy comes down to finding the sweet spot. You can try to establish that sweet spot by yourself, but at the end you are at the mercy of your customers although you of course have a variety of marketing tools to influence and bias their mercy so to speak. But eventually the sweet spot will be determined by them and not you. It’s obvious that you would love to be able to cash in a high margin on each product or service provided by you and not just hoover over the breakeven point. So being at least profitable is basic. But as of that point how profitable you are is purely a question of the perceived value from your customers point of view vs your costs. A way to do that before launching your products is of course to survey the market and get feedback from potential customers. Another way is by thoroughly making a matrix and benchmark your product up against the other ones out there and see where you objectively fit in. I say objectively because there is the factor of brand awareness and association that is difficult to put a value on. Another way of doing it, either before are after launch is to resort to a technique that is normally used to improve websites, conversion rates, sign ups, clicks etc in the online world. Split testing (also referred to as A/B testing or multivariate testing). Split testing is a method of conducting monitored, randomized (or not) experiments with the goal of improving customer response to your product and pricing. A simple way to do it is, especially online, is to alter between 2 prices for the same product on a constant basis (daily, weekly etc) to understand the price elasticity of your product (how much are people willing to spend). Another way is to launch the same product with two different messages, images, etc. Simply test what people respond to. TIP: Do as much of this as you can previous to your launch, and preferably in a way that the customer don’t perceive that they are part of an experiment as customers most likely will be turned away by the duality in your pricing and marketing approach. A certain consistency foments trust. Once you hit the sweet spot of what you and your products are worth for the customers then you have automatically also hit the sweet spot of your position in the market. Not just your price position observed isolated, but also in relation to what you offer. Hence can you not study your desired market positioning from either P’s point of view, but have to force yourself to look at the entire value proposition that you are offering. You are working in a matrix of things. Having said that can you of course determine where in the market you want to position yourself in accordance to where your competitors are positioned on the value/money scale or to where your desired aspirations are, and we are by no means saying you shouldn’t do that. That means once identified the desired position you have to mould your value proposition to that position and the expectations that come with it. Do you on the other hand already have a determined set of services and products, it only makes sense to offer a balance that your customers are comfortable with or attracted to. In other words is it difficult to make a 3 star hotel grasp for 5 star hotel guests. So how does one offer that balance? Let’s stick to our previous example of the guided tour business. Whether by foot, scooter, Segway, a FPV drone tour (First Person View… yes, they exist) or horseback, your customer doesn’t pay for what he thinks the tours costs you to organize plus a little margin for you… he pays for what he thinks its worth. It’s a very basic statement, but business owners tend to forget that. They add features, specs, bells and whistles to their products, but are then either not targeting the right audience for that upscale product or creating a service that no one was interested in in the first place. Check out the trend over the last couple of years of high end customers (from a purchase power point of view) who pay fortunes to get back to basic. Simple, genuine and honest products. Whilst at the same time having other people with similar affluence preferably opting for the classical luxurious or even ostentatious touch. Then you have all those in between and of course you also have those on a tight budget. Each of these brackets of clients have their own concept of perceived value and you must know that concept of theirs before you can design your product or service and before you can put a price tag on it. Whether to start with the product first and then the price or vice versa or whether to define which market you are interested in addressing is your decision. But the decision on either part has to be aligned. And don’t forget. Is your offer only catering to a very small market because of the value/money ratio, keep that offer but add another one with a slightly different ratio allowing you to target a potential larger customer base. Selling 1 at 1000EUR is just as good as selling 4 at 250EUR if the invested resources are the same. Nowadays to find a market niche all to you is if not impossible at least rare. Transparency of things today makes it difficult to keep anything secret. But you surely can find less crowded markets which for small businesses unless they are revolutionising the market, might be the best suited. Since the invention of currency or tradable value of whatever kind, along came negotiation, discounts and bargains. Hence many business owners when under pressure because of declining numbers of clients/turnover resort to pricing as their first option. The moral of competing on price however is very simple… there are two winners. …and the competitor with the deepest pockets will win… the first round at least… until a competitor with even deeper pockets attacks you once your pockets are empty from last price war. First best advice…don’t engage in competition on price. Yes… you will have to play along from time to time but try not to be the initiator. Again…find your sweet spot. Leave room for the one with a perceived inferior or superior product. Create clear brackets in the market and try to stay out of each other’s markets and make the customers that perceive you are in their sweet spot loyal to you. Price fixing between you and your competitor is illegal in the majority of countries and industries so don’t even think of going down that route. But there are so many competitors in my segment you say. Well… choose another segment or differentiate on perceived value. Without entering the field of negotiation with your providers, contractors, employees etc. which you hopefully are doing on a regular basis already what can you then do to squeeze out an extra % of margin for all your effort? If increasing your price isn’t an option because your customers don’t perceive the value to be worth it, or because it makes you a direct competitor to another brand, you are left with one option. Magic and illusions in the outmost positive interpretation of the concepts. Bundle your product or service with another product, service, feature or add on that from a customer point of view give much bang for bucks from their perceived value, but at the least expense for you. Simultaneously package it in a way that your competitor doesn’t directly interpret it as an attack to his premium market when you start pricing it higher. If your tour starts in the outskirts of the city but you happen to live in the city, include the service to bring your clients forth/back from the city centre (you have to go there anyway). If you know that a shop, bakery, event etc. is going to have freebees, music, action of some sort, include it in the package for a small premium. It’s close to zero cost for you, extra perceived value for the client and won’t be seen as a direct competitive move as you are actually offering more than they are hence your increased price. You can’t always avoid to slash prices and to offer special promotions in order to attract potential customers still not knowing you or to make people repeat. But also here, try to highlight your perceived worth in the eyes of existing customer in your promotion message to reduce the actual price adjustment to a minimum. Introduce bundling, one offs, bring a friend, future discounts and other promotion techniques, and communicate them in a such clear way that your competitor knows you are only trying to grow your market… not attack his. Maybe all above sound a bit vague or theoretical, but all suggestions are merely simplified human psychology. The perceived value of the entire experience of being a customer with you is what determines what you can charge them. It’s about feelings, emotions, satisfaction, feeding that inner want to feel good part of us that you are appealing to. So put yourself in your customers and competitor shoes and think of your value proposition including pricing from their point of view. Are your prices aligned with the perceived value of you service and brand (don’t forget that a lot of premium brands don’t sell a superior product but merely a superior experience, feel good factor and association and lifestyle)? Are you addressing the right market? Are you communicating clearly to clients as well as to competitor? And again… are you different and are you make it seen? Don’t forget to check out our next article on Place and its impact on your business coming soon right here on our blog. In case you are not following us already sign up for our newsletter and you’ll receive our articles straight to your inbox. If there is something you would like us to elaborate more on or something that wasn’t clear, then let us know and we will come back to you or maybe post it here on our blog. Please also feel free to comment here below. See you next time. Until then good business! Christian is Interim Manager, Consultant, Entrepreneur and highly experienced and versatile Leader in international context. 15 years+ experience in analysing/elaborating/implementing business and marketing strategies in culturally, politically and economic “adverse” conditions. This entry was posted in Grow your business, Small businesses and tagged defining prices, how to define your prices, Marketing concept, set your prices, small businesses advices, the 7 Ps, useful marketing concepts. Click to follow this blog and receive the last updates and the best news and articles.